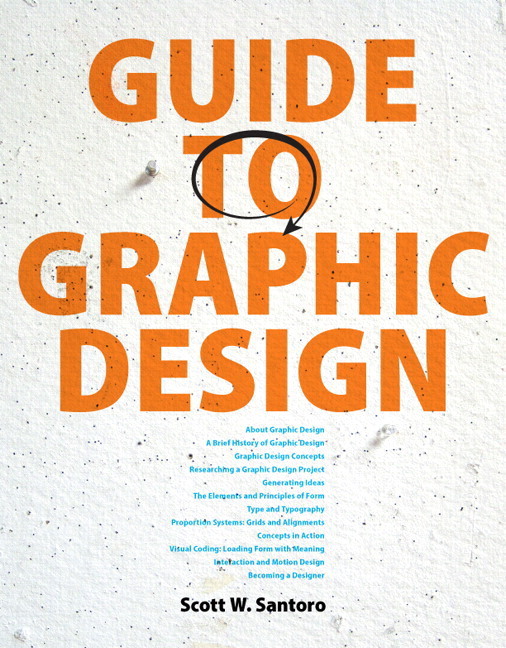 Learn to Conceptualize, Create, and Communicate in Graphic Design. 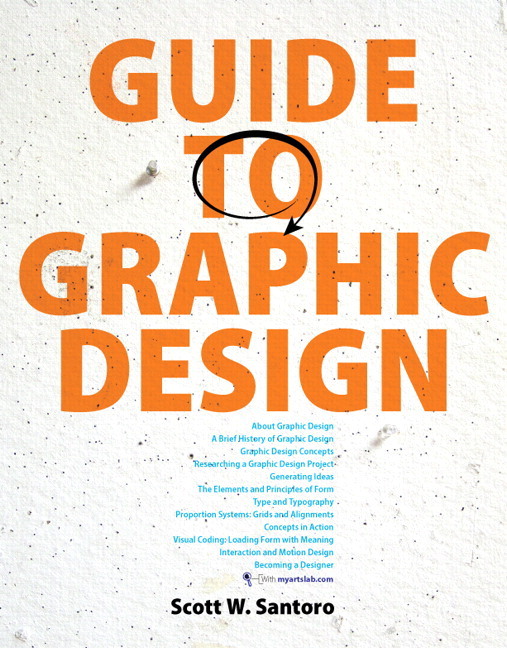 Katherine McCoy, Steven Heller, April Greiman, Michael Bierut, Rick Valicenti, and many others. MyArtsLab is an integral part of the Santoro program. Key learning applications include, Closer Look tours, 12 Designer Profile videos and Writing About Art. This text is available in a variety of formats – digital and print. Pearson offers its titles on the devices students love through Pearson’s MyLab products, CourseSmart, Amazon, and more. To learn more about our programs, pricing options and customization, click the Choices tab. Personalize Learning - MyArtsLab is an online homework, tutorial, and assessment program. It helps students prepare for class and instructor gauge individual and class performance. Improve Critical Thinking - Exercises throughout the text help readers to make decisions and understanding the connection between an idea and its execution. Engage Students - Each chapter presents quick, in-class exercises and longer, more involved projects. Support Instructors - Instructor recourses are available in one convenient location. Figures, videos and teacher support materials create a dynamic, engaging course. Sample chapter is available for download in PDF format. This material is protected under all copyright laws, as they currently exist. No portion of this material may be reproduced, in any form or by any means, without permission in writing from the publisher. Preface is available for download in PDF format. MyArtsLab - MyArtsLab is an online homework, tutorial, and assessment program that truly engages students in learning. It helps students better prepare for class, quizzes, and exams—resulting in better performance in the course. It provides educators a dynamic set of tools for gauging individual and class performance. And, MyArtsLab comes from Pearson—your partner in providing the best digital learning experiences. MyArtsLab Margin Icons - Margin icons guide students from their reading material to videos, Closer Looks, and projects at the end of the chapter. 12 Designer Profile - Videos, recorded by the late Hillman Curtis, are intimate portraits of designers in their studios talking about their approaches, ideas, and love for the field of graphic design. MediaShare - A new digital drop box and portfolio tool can help students submit their work to instructors and facilitate online peer critiques. Writing about Art - A complete and fully searchable guide on the forms and functions of writing about art. Written by Henry Sayre, and available online for the first time in its entirety. Pearson eText and Chapter Audio - Like the printed text, students can highlight relevant passages and add notes. The Pearson eText can be accessed through laptops, iPads, and tablets. Download the free Pearson eText app to use on tablets. Students can also listen to their text with the Audio eText. Personalized Study Plan - Students’ personalized plans promote better critical thinking skills. The study plan organizes students’ study needs into sections, such as Remembering, Understanding, Applying, and Analyzing. Blackboard Single Sign-on - MyArtsLab can be used by itself or linked to any course management system. Blackboard single sign-on provides deep linking to all New MyArtsLab resources. Assignment Calendar & Gradebook - A drag and drop assignment calendar makes assigning and completing work easy. Theautomatically graded assessment provides instant feedback and flows into the gradebook, which can be used in the MyLab or exported. Customizable - MyArtsLab is customizable. Instructors choose what students’ course looks like. Homework, applications, and more can easily be turned off and off. 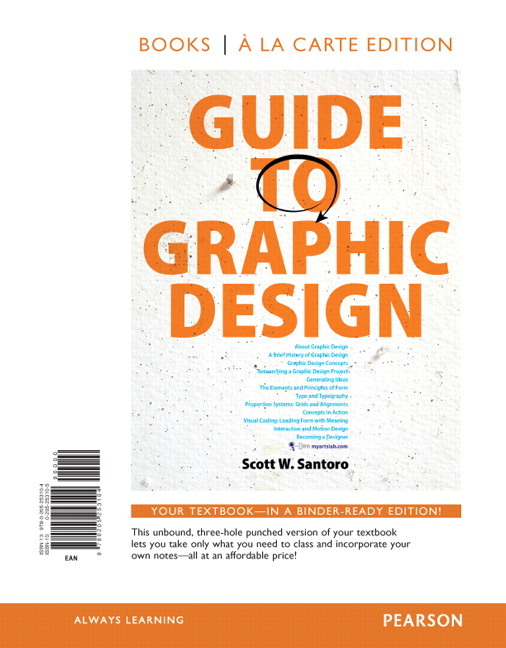 Steps in the Design Process - Readers are given step-by-step instructions on how to approach solving a specific design task. Chapter Objectives - List key learning goals that readers can work to achieve in each chapter. Speakout - Personal accounts and experiences from designers and educators, intended to expose students to unique and varied perspectives on the field of graphic design. Designer Vignettes - Interviews from well-known designers intended to inspire students and pique their interest in the material being discussed. In Practice/ In Perspective - These features provide tips that offer real-world perspectives to the specific design problems being discussed. Worklist - Sets of checkpoints and practicalities help students throughout the design process. Virtual Crit Wall - Readers can virtual critique works of art by following Guide to Graphic Design on Instragram @guide2graphicdesign. See some of Scott Santoro’s best student work currently displayed on the critique wall in his classroom. Explore Santoro’s encounters with great graphic design in New York City. Readers can join the conversations, or submit their own work by using hashtag #mycritwall. PowerPoints - Featuring a selection of images from the book and links to videos with corresponding classroom discussion questions. Custom course material - Work with a dedicated Pearson Custom editor to create your ideal textbook and web material- publishing your own original content or mixing and matching Pearson content. Contact your Pearson representative to get started. This item is currently unavailable for purchase on our websites. Instructors, you may still place orders with your bookstore.